This guide finds the best SSL certificates you can use for your sites and check out the how it secures your site with encryption. Secure Sockets Layer (SSL) is a standard technology that establishes a secure, encrypted connection between a host (web server) and a client (a user’s web browser). This connection ensures that all transmitted data — including the user’s log-in credentials, credit card details, social security numbers, and other sensitive information — remain intrinsic and private. Generally, a website address is preceded by HTTP, or HyperText Transfer Protocol, which allows users to interact and communicate with the website. With this type of connection, data are sent between web servers and browsers in the form of plain texts, leaving the user vulnerable to prying. If a third party finds a way to intercept the data being transmitted between the two units, they will be able to see and illegally use those data. Establishing an encrypted connection protects users from such consequences. SSL holds significant importance for all website owners, especially those who run e-commerce businesses. If you visit a website that uses HTTPS (HyperText Transfer Protocol Secure) or has a padlock icon on the left side of the address bar, you are creating a secure link via SSL and all data that you send to the website are protected. Web browsing, instant messaging, email sending, and VoIP all use the Secure Sockets Layer technology. Every time you visit a website, with or without the intention to engage, your browser interacts with that site and transmits certain information about your browser history. 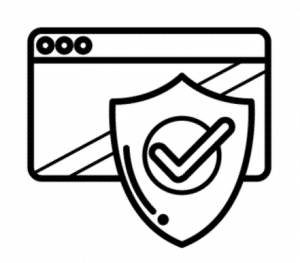 Seeing the SSL certificate (the green lock icon in the address bar), which indicates online security, provides website visitors with a feeling of trust and safety. While Secure Sockets Layer benefits the site owners as well, the feeling of security is extremely crucial for visitors. 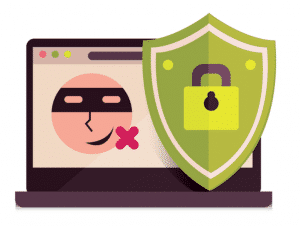 For site owners, security has become one of the major concerns due to the rampancy of hackers and identity thieves in the online environment. Having a secure certificate on your site helps ensure that all data are securely and confidentially transmitted from your visitors’ browser to their proper destination. This applies to all interactions made on your website, including making a purchase and simply leaving a post or comment. With Secure Sockets Layer, you can prevent unlawful acts from taking place on your site. How the SSL Certificate Creates a Secure Connection? When a browser accesses an SSL-secured website, a secure SSL connection is being established using a process called “SSL Handshake.” This process is invisible to users and takes place instantaneously. There are three essential keys used in setting up the connection: the private, public, and session keys. Any connection that is encrypted with the private key can be decrypted only with the public key, and vice versa. Since using the public and private keys in the encryption and decryption process requires a lot of procedural power, these keys are only used to generate a symmetric session key during SSL Handshake. Once the secure connection established, the session key encrypts all of the data transmitted between the browser and the server. Google has announced that applying a Secure Sockets Layer Certificate (2048-bit key) to your website — in other words, going HTTPS — will give your site a slight ranking boost. Google has been using HTTPS for their properties, such as Gmail, Google Drive, and Google Search, to provide users with a connection that’s secure and protected by default. Since security is a top priority for Google, they also want to make sure that the other websites and platforms people access through their services are safe and secure. When Google started testing websites for HTTPS, they were encouraged by the consistent, positive results and began using HTTPS as a factor in their ranking algorithms. For now, HTTPS is considered a “lightweight” ranking signal, carrying less significance than other essential signals such as the relevance and quality of the site’s content. However, Google implies that they are likely to strengthen and give more importance to HTTPS as they wish to encourage all site owners to switch to it to keep all internet users safe. Decide the type of certificate your website needs: single, wildcard, or multi-domain. Always go for a 2048-key certificate. Use comparative URLs for the resources that exist on the same secured domain. Use protocol-relative URLs for other domains. Allow search engines to index your pages wherever possible. Avoid no-index robots meta-tags. Do not use robots.txt to block your website from crawling. Read the Site Move article from Google and review the guidelines on how to properly change your website address. If your website is not using HTTPS yet, consider making it a top priority. Although Google hasn’t announced exactly when they will make security a heavier consideration in search ranking, this is an area you will want to be advanced in. SSL Certificate providers make your website a more secure place for visitors. Especially if you have an online shopping or financial business that requires using an online payment system, you need to ensure that every transaction your customers make is secure. Some companies provide their SSL certificate services for free, while some offer premium services for a reasonable price. Before signing up, check the company’s background and take the time to read customer reviews to ensure you’re getting what your website exactly needs. Most web hosting companies offer Let's encrypt SSL which is usually a free SSL provider. Our recommended web hosting companies FastComet offers Globalsign SSL for free which usually costs $50/year and SiteGround offers WildCard SSL for free of cost. SSL2Buy – This is an authorized reseller of SSL certificates, and they claim to have the most affordably priced service. SSL2Buy provides Certificates with up to 256-bit encryption with over 99 percent browser recognition. They have reliable chat support and quick issuance times. 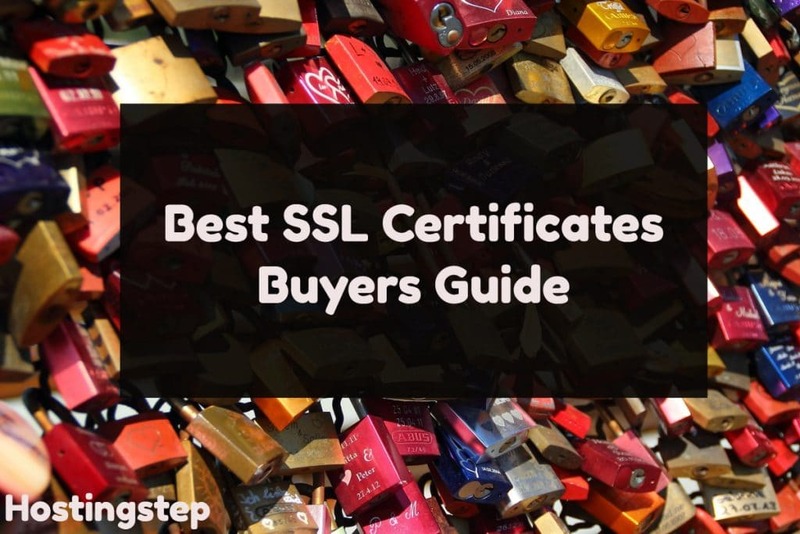 The SSL Store – This is a popular SSL reseller offering the cheapest certificates from leading certificate authorities. They have an easy-to-use control panel, domain validation, and issue certificates in less than 15 minutes. NameCheap – NameCheap is another reseller of reputed certificate authorities such as GeoTrust, Thawte, and Comodo. They have one of the lowest priced certificate services and provide fast issuance turnaround time. Entrust – Entrust offers customers six various forms of SSL certificates. They have high-level security, provide affordable services, and can issue your certificate in under 15 minutes. To find out more features of their SSL products, you may visit their official website. VeriSign – VeriSign now operates under the umbrella of Symantec and their authentication business is one of the most reputed. In fact, VeriSign is used by many of the most well-known brands in the internet world. You can get their premium package, called the Secure Site Pro EV, at around $1,000. With that price, you will get outstanding features, vulnerability assessment, $1.5 million warranty, and more. They support up to 256-bit encryption. GlobalSign – GlobalSign is a WebTrust-certified certificate authority and provider of Identity Services. Founded in Belgium in 1996 the company offers a diverse range of Identity service solutions. GeoTrust – GeoTrust offers premium services for a more affordable price. Their basic encryption service costs $149, and the maximum security certificate is at $299. They offer a warranty, expert service, and support up to 256-bit encryption. DigiCert – DigiCert is one of the most trusted names in the industry, catering to some of the biggest multi-national companies including Yahoo, Microsoft, Facebook, Amazon.com, AT&T, NASA, and Wikipedia. They offer up to 2048-bit certificates at reasonable prices. Comodo – The company provides SSL certificate solutions to home offices, e-commerce businesses, and enterprises alike. Comodo has up to 256-bit encryption, and their package starts at $64.95. Thawte – Thawte is another low-cost SSL certificate provider that offers premium services. Their cheapest package is at $149 per year and their extended validation plans cost less than $600. They offer up to 256-bit encryption and lower rates if you sign up for a two-year contract. Network Solutions – Network Solutions provide the lowest-priced certificates, which can even be lowered by going for a multi-year term. Their package starts at $49.99. They support up to 256-bit encryption with over 99 percent browser recognition. GoDaddy – While GoDaddy is known as the largest domain registration company, they also provide affordably priced SSL certificate solutions. Their standard package is at $69.99 while their deluxe plan costs $89.99. Both plans can be customized according to your needs. GoDaddy has a competent customer support which you can access 24/7. You can also check out which hosting provider is offering free SSL here. By 2017, Certificate Transparency will be made mandatory for Google Chrome web browser. This move is an effort to reduce the incidence of domain certificates being abused and compromised by hackers who are exploiting the structural flaws within the certificate authority system. So if you aren’t using HTTPS, it is high time you check out these best SSL Certificates providers and switch to a more secure connection. Doing so will benefit not only you but also your site visitors and the overall online community.